Japan's biggest selling mascara, I picked this up from Sephora in New York in March. This is a bit of a cult product but people seem to love or hate it. The good-the brush shape has a slight curve to it which seems to fit really well to your lashes. It adds length to your lashes with it's fibre technology. It doesn't smudge at all. Love love love the colour and the finish but unfortunately I have discovered that because the Plushglass formula contains a plumping ingredient it really irritates my lips. I have a couple of these and one that hasn't been used at all so I may blog sale them. When I bought this colour correcting concealer I did wonder how much I would use it and I have used it once, thought I looked silly and threw it into my 'disappointing products' box. 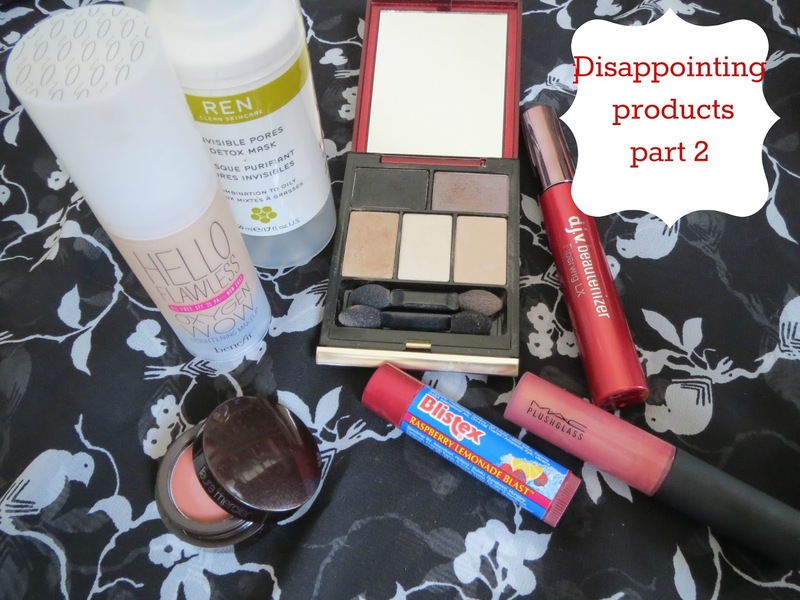 Seems I can't do a disappointing products post without a Laura Mercier product in it! Have you tried any of these products and loved or hated them?